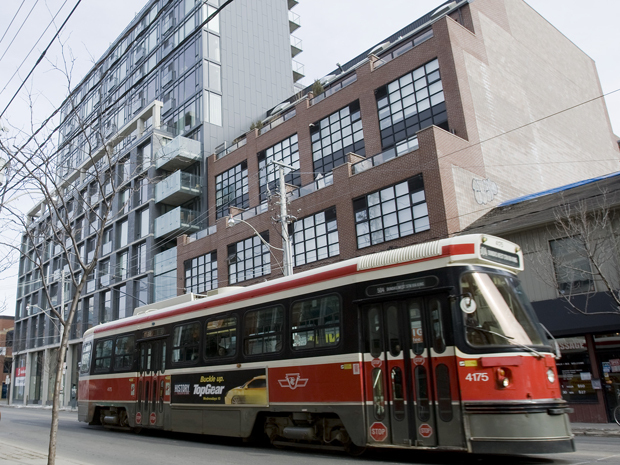 The Toronto Real Estate Board announced a 12.9% year-over-year increase in condominium apartment sales through the TorontoMLS system in the third quarter of 2014. Sales amounted to 5,954. New listings of condominium apartments on TorontoMLS were also up compared to the same period last year, by 4.5%. “Condominium apartments represent an affordable home ownership option for first-time buyers. New condominium apartment completions have been at record levels over the past two years. However, even though many of these newly completed units have been listed on TorontoMLS, we have not experienced a glut in inventory. There have been enough buyers to keep market conditions balanced, with the average selling price increasing at an above-inflation pace,” said TREB President Paul Etherington. The average selling price for Q3 condominium apartment sales was $359,352 – up by 5.7% compared to the average of $339,878 in Q3 2013. The average selling price was highest in the City of Toronto, at $382,210, representing a year-over-year increase of 6.1%. “Growth in condominium apartment listings will likely continue over the next year, reflecting the continuation of strong condominium apartment completions. However, the fact that we are seeing growth in condo sales outstrip growth in listings suggests that market conditions will remain tight enough to prompt continued price growth,” said Jason Mercer, TREB’s Director of Market Analysis.